Sturm, Ruger & Company, Inc. (NYSE-RGR)is proud to introduce its third addition to the newly launched Ruger® Custom Shop. 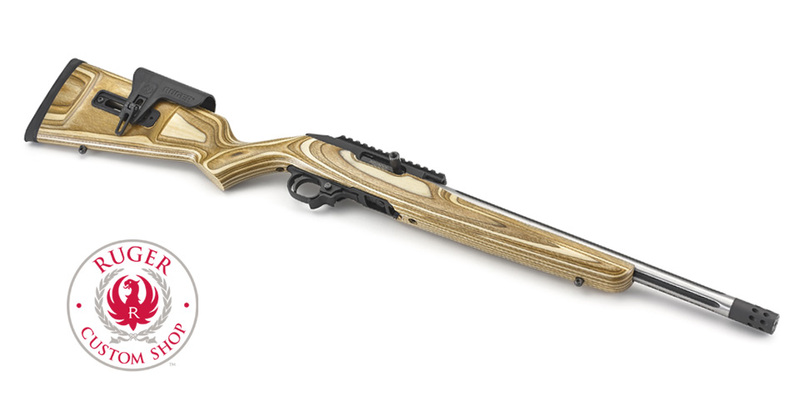 This variation of the Ruger Custom Shop 10/22® Competition Rifle features a natural brown laminate stock and stainless steel barrel. The 16-1/8" stainless steel bull barrel features black cerakote accents and is fluted to reduce weight and dissipate heat. The 1/2"-28 thread pattern accommodates the included muzzle brake or other popular muzzle accessories. The barrel also features a proprietary, enhanced semi-auto chamber which has proven to increase accuracy and precision while not compromising reliable feeding and extraction. For more information on the Ruger Custom Shop 10/22 or to learn more about the extensive line of award-winning Ruger firearms, visit Ruger.com or Facebook.com/Ruger. 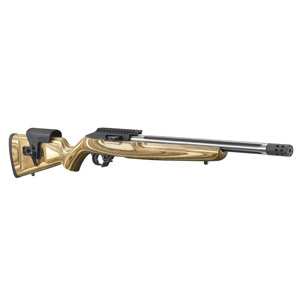 To find accessories for the 10/22 and other Ruger firearms, visit ShopRuger.com or your local independent retailer of Ruger firearms.